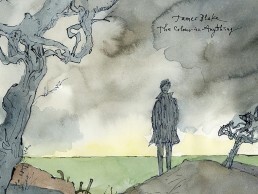 It’s coincidence that musician James Blake, and illustrator Sir Quentin Blake, share a surname. Now they share a project too, after Sir Quentin designed the rather marvellous album artwork for James’s latest work. You can find out more about Alexis Burgess’ involvement in getting this particular piece of magic to happen, in his article.